As an Australian citizen I acknowledge that before Europeans ever set foot upon this land, many great nations already prospered here. I acknowledge that this land I now call home was colonised without the consent of those original inhabitants and this has resulted in great hardship and suffering. For this I am sincerely sorry. It is my desire to reconcile past wrongs and a build a future where indigenous Australians live in complete equality with non indigenous Australians. All rights afforded, all opportunities open. I therefore support renewed efforts toward reconciliation with Aboriginal and Torres Straight Islander’s as a process of recognition, respect, healing, justice and unity. Background: The vision of reconciliation is a complex and sensitive matter and one of this countries most important national responsibilities. It is my belief that true reconciliation requires the recognition of an aboriginal nation. I see the indigenous nation as being a nation within a nation. Sovereign to a point with independent values, beliefs and governance but not to the extent of independent laws, currency or geography. I see the aboriginal nation as being as much symbolic as sovereign, co-existing independently as well as interdependently with modern Australia and living within the existing rule-of-law. In the sense that we acknowledge aboriginal people as the traditional owners of this land I see the same circumstances applicable to the formal recognition of an indigenous nation. I see the indigenous nation becoming once again one of the greatest nations on earth. We will know it as a nation of peace existing side by side yet inexorably intertwined with the its sister nation Australia living in harmony and mutual respect, the way it should have been from the very start. In the context of realising this great challenge I propose that Australia work harder and with greater focus and purpose than ever before to bring this vision of unity to the fore. In that context I propose a series of initiatives, some symbolic, some practical but all imbued with the intent to reconcile, unite and move forward; separately as might a brother and sister but united, as would a family. 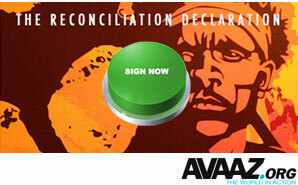 The Reconciliation Declaration. Reconciliation will never work as a top down process. It can’t be left to governments to implement, it has to come up through the community and the processes of healing and building have to play out at the grass roots. Flowing on from this important declaration I propose that the Australian Government in conjunction with the private sector fund the establishment of a world class University dedicated to preserving and teaching the cultural and spiritual laws, language’s, stories and beliefs of indigenous Australians. This university would be opened not just to indigenous Australians but to all students around Australia and the world inspired to study in this great realm of human knowledge. To preserve and advance the cultural knowledge of the Australia’s indigenous peoples for the benefit of all Australians. To build new tiers of leadership within Aboriginal communities in order to promote reconciliation and improve the health, wealth and happiness of these communities. To foster a sense of certainty that the oldest peoples on the planet will prevail and prosper into the future and forever.